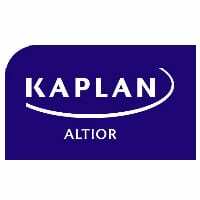 With over 35 years’ experience in training and development, Kaplan Altior offers personal, professional and practical training for legal professionals. At Kaplan Altior, we take the time to fully understand development requirements, offering specialist legal and essential training tailored to your business’ needs to help nurture talent and grow the firm. At Kaplan Altior, we know that everyone’s learning preferences, capabilities and schedules differ. This is why we provide flexible learning programmes, promoting bespoke learning structures that utilise both face-to-face contact with tutors and online training through our bespoke Live Online system. Our team works closely with our clients to create a blended learning plan that best suits their needs, producing results with longevity. As well as offering public training courses tailored to individuals, we also strive to deliver training best-suited to the whole firm. So, if you require personalised or in-house training for optimum confidentiality, security and efficiency, we’re here for you. “[Kaplan Altior took a] pragmatic approach and [had the] ability to get to the key points of the didactic material. Loved the course and all those who instructed and organised.” – Martin Barye, Mars Inc.